A little earlier in the week, an article I’d written was published by BornOffside. Following the abdication of Alex Ferguson, not just from the manager’s office at Manchester United, but as the working figure with the greatest influence over the English game, that role is now up for grabs. Will Moyes, who’s never won a trophy, rise to the extra pressure? Will Mourinho recreate his earlier success at Chelsea? How will Andre Vilas-Boas and Brendan Rogers build on impressive but mixed first years at their clubs? For years, the idea of Alex Ferguson and Manchester United being on top seemed to be the default status quo – if they didn’t win the title one year, the feeling was that they would next year. But now, there is the possibility of real change. The landscape of English football could look very different this time next year. Who will claim this trophy next year? This was before the fixture list revealed that Manchester United would play Chelsea on the opening day, and Arsenal made an ambitious move to sign Gonzalo Higuain – if anything, the points I made have been underlined since. Click here to read Who Will Set the Standards for the Premier League? Excellent article on Born Offside. 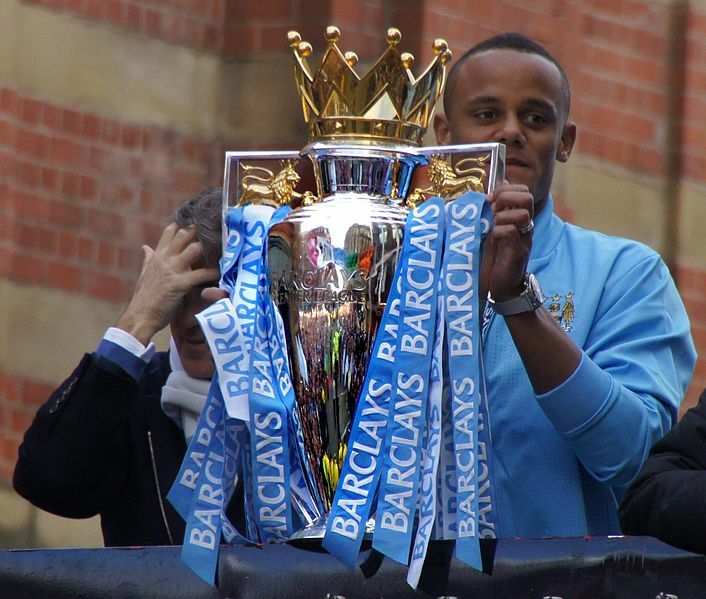 Indeed, the 2013-14 EPL season will be the most watched and scrutinized season ever. Ultimately, it boils down to who wants the title more. My instinct tells me United want it. They want to prove they can win one without SAF pulling the strings, to shut the naysayers up. If that’s not enough of a motivation, I don’t know what else could be. I think the ability to keep cool under pressure could also prove vital. I’m intrigued as to whether Moyes can earn the same trust Fergie had – it feels like when Man.Utd were behind in a game, or had a few bad results, the players had absolute faith in him to make the right choices and turn things around. I’m curious as to whether Moyes can earn that same kind of trust. Personally, I’d bet on Man City – they should be smarting after a relatively embarassing season, Pellegrini has a record of playing attractive football and keeping his players calm when things are falling apart. There are so many variables though, it’s almost impossible to predict at this stage!